After graduating from Oxford University with an Honours degree in Philosophy, Politics and Economics, Steve trained as a teacher and taught economics and politics. In 1985 he joined CDS Co-operative Housing Services in London as a Housing Manager. He then worked at Hartlepool Borough Council as Assistant Borough Housing Officer, Middlesbrough Borough Council as Assistant Chief Housing Officer (with responsibility for the management of 17,000 homes). A short spell lecturing at Northumbria University in Housing Studies was followed by appointments as Operations Director at Phoenix Housing Association and Director of Housing and New Initiatives at Tees Valley HA. He then moved back down south to become Managing Director of English Churches Housing Group. He joined St Pancras & Humanist HA in 2000 as Chief Executive and created the Origin Housing Group with Griffin HA and became its first Group Chief Executive. He moved to Amicus Group in 2004 as Group Chief Executive and became the first Group Chief Executive of the merged AmicusHorizon Group. He left AmicusHorizon in 2007 for a new career in training and consultancy. He has a Masters degree in Strategy and Resource Management and is a Fellow of the Chartered Institute of Housing, a member of the direct final entry selection panel for the CIH and a former Chair of the CIH Northern Counties Branch. He was a non-executive Director at Heritage Care; chaired the Swale Local Strategic Partnership, chaired the North Kent Advisory Committee for Common Purpose and has served on a Housing Association Board. He has co-written two books “Social Housing; an Introduction” published by Longmans and “An introduction to Social Housing” published by the CIH. He also co- wrote the UNISON distance learning materials for their Housing courses. He is an external examiner in housing at the University of Greenwich. Alex Rocke is an experienced strategic manager who has worked in housing services for more than thirty five years. He has also managed leisure, economic and community development services. He is a member of the Chartered Institute of Housing. Since 2002, he has been a member of the first tier tribunal (local government standards). Alex worked in local government for twenty five years in Liverpool, Bolton, Blackburn and Kettering. He held Director or Assistant Director posts for fourteen years and developed key initiatives. These include: multi agency partnerships to deliver regeneration schemes; introducing innovative ways of involving customers and new approaches to service delivery. Since 2001, he has worked as an interim manager and independent consultant. Interim management assignments have included the successful delivery of specific objectives. Examples are: implementing improvement plans; service reorganisations; preparation for inspections; value for money and stock options appraisals. 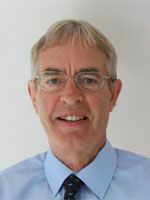 Paul has thirty-five years' experience of local government and working as a consultant and trainer. His expertise includes business planning consultancy, asset management plan development, policy and strategy development, housing development, home ownership including the RTB and low cost home ownership products, resident involvement and housing finance. His wider interests include allocations and lettings, local-central government relationships, and authorship of briefings and books. His early posts included working as a housing adviser at Cambridge City Council, Policy and Development officer at Southwark Council, Development Initiatives manager at Greenwich Council, Course Director in Housing studies at Hammersmith and West London College and an associate lecturer in housing at the University of Westminster and Anglia Ruskin University, a consultant at TPAS undertaking resident-led management advice and implementation of Tenant Management Organisations, and research and statistics manager at London Councils. Paul is an experienced housing trainer, having worked with TPAS, the NHF and CIH, and as a freelance, covering all housing subjects but specialising in housing finance, development, business planning and tenancy law. 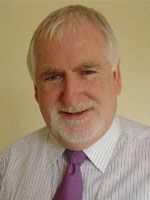 Paul is the author of numerous briefings for the NHF, councils including Hammersmith and Fulham, and has written three books on housing which are on University and College reading lists to support the CIH Professional Qualification, HNC and HND in Housing Studies and courses at BTEC level. These are: An Introduction to Social Housing (1st and 2nd editions, 1996 and 2004) and Affordable and Social Housing (2014). He has also written articles for Public Service and Local Government.